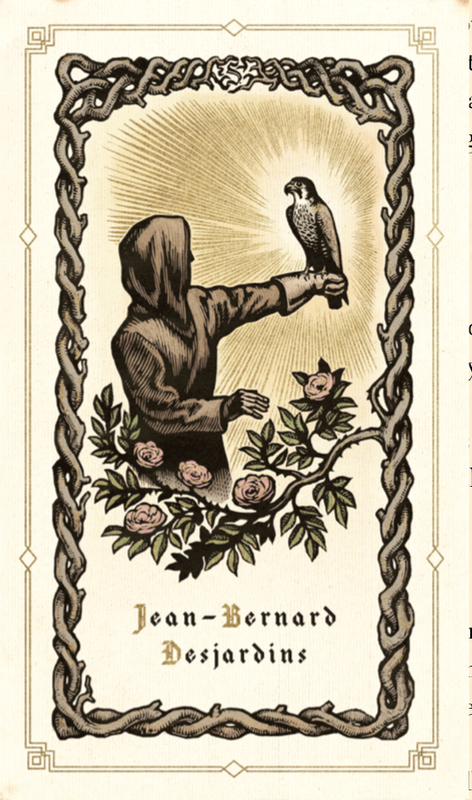 The Card from Jean Bernard Desjardins | Thoughts On "S"
More beads more tiles more connections. Nice work. I’ve always wondered what this card actually is, i.e. a business card, invitation etc. any ideas? “cart de viste” were photos this image is done by hand. Falconry is a key but does not fit the image. Has the taste of a funeral card but all the pieces don’t seem to fit together, hummm a different arrangement of beads and tiles? That one of 20th-Century literature’s most revered poets and dramatists should adopt falconry imagery is unsurprising and not entirely original. But unlike Shakespeare, who used hawking as a tool and a set of symbols, Yeats probed right into the heart of the falcon-falconer dynamic, and leaves us with a sense that he must have at least fraternised with falconers to attain such insight into the relationship. Bavo was quite a nasty piece of work in his young days, but repented and spent his later years doing good works and giving away his money and belongings to charity. There is another saint, Trifon, who is also associated with falcons, but he seems to be more strongly associated with wine and vineyards. Are we just assuming this is a man? I’m not sure if you discussed this already but did you notice the change in fonts in every other line? Not sure if that is significant or just a style thing. You should also check out the Book of St. Albans and its hierarchy of hawks. Clare! 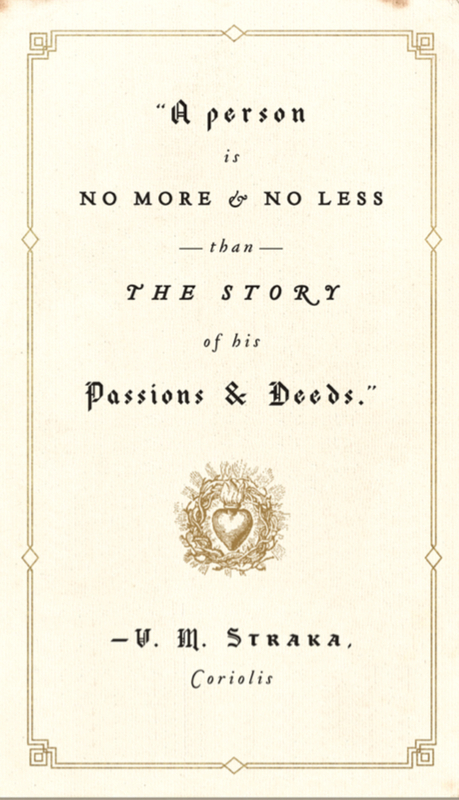 The typeface changes on the title page of the Book of St. Albans http://bit.ly/1dWp7vl like geekyzen points out here! AND there’s a lengthy discussion abt typeface in the beginning of the book. Nice find! And just because no one has written it here: the S is at the top of the card blending in with the border. Just noticed that, Jillaggie. Thanks for the enlightenment! Jillaggie, good on eye on finding the “S” on the card. Did you notice the “S” in the Book title page (St Albans)J, its not quite the same but close. I see it — love it! Pingback: Every 19 Pages – A Walkthrough | Thoughts On "S"
Pingback: Eureka! | Thoughts On "S"